SANYO 30KS82 30,600 BTU Ductless Mini-Split Wall-Mount Air Conditioner Include outdoor condensing unit-C3082 and KS3072 wall mounted air conditioners and heat pump and offer the utmost in versatility in solving your cooling and heating needs. 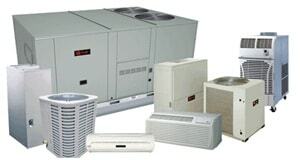 By utilizing environmentally friendly R-410a refrigerant and DC Inverter technology, the SANYO air conditioner or heat pump, automatically adjusts its performance to meet the changing needs of the space while maintaining the desired temperature. This leads to increased efficiencies, low energy consumption and a very comfortable environment. Other great features of Sanyo Wall Mount Air Conditioner - Inverter Control Compressor: All ECO-i systems utilize highly advanced inverter controlled compressor technology. By varying the rotational speed of the compressor, the inverter control can precisely match the amount of refrigerant being delivered to the needs of each zone. This intelligent approach helps realize excellent efficiencies during partial-load conditions. This allows all occupants to enjoy consistent room temperature, regardless of any increases or decreases in the heat load during the day. ECO-i quite simply knows what you need, and when you need it throughout the day. And even better, it does so with energy efficiency in mind. When you think about a building as a living space, everyone involved lives better. From design to installation to operation, SANYO Ductless Mini Split Systems lives for the living inside. Our line of conditioning solutions breathes life into structures big and small. With 25 years of experience in the U.S., we are consistently building new ideas to help build your business or home. By delivering multi-zone options, space-saving and environmentally friendly designs, our solutions are human solutions. At SANYO, we don't just condition buildings. We condition people. That's because we've thought beyond just Air Conditioning (AC) to something we like to call Human Conditioning (HC). This is the process that guides our technology and system attributes, and, in turn, provides for maximum conditioning solutions for your environment. Sanyo RCS-SH1UA Wireless Remote Control. Sanyo's infrared Remote Control with and easy to read LCD Display, gives the user the capability to adjust & set: temperature, sweep (louver control), fan speeds, timer, night setback and more, for complete automatic operation. The air sweep function moves the louver up and down in the air outlet, directing air in a "sweeping" motion around the room and providing comfort in every corner. The negative ions generator fills your room with negative ions throughout the year. *Ion generating power - over 100,000 parts/cc. Filter is treated with anti-mold coatings to prevent mold or bacteria from occurring. Max. head 20 inches from the discharge of the indoor unit. Condensate pump is only for allowing drain line to meet minimum gravity flow requirements. Filter sign informs you when filter maintenance is necessary. High Efficiency systems up to 20 SEER. Inverter Driven variable speed twin rotary compressors. Precise compressor speed to match the building needs. Quick and easy installation of indoor and outdoor units. Built In 0F Low Ambient Control. Extra Long Lineset Lengths (Up to 165'). Wireless remote controllers available on all models. Single Point Power Supply reduces installation costs (Comply with local codes on wire size). 7 Year compressor warranty and 5 years parts warranty. Sanyo KS3082 - Wall Mounted Indoor Unit. Sanyo RCS-SH1UA Wireless Remote Controller. Sanyo Automatic Heating and Cooling Changeover- After setting the temperature and functions you desire, just relax. If the room temperature is higher than the set temperature, cooling operation begins. If the room temperature is lower than the set temperature, heating operation begins. During normal thermostat cycle operation, cooling and heating operations automatically change in accordance with set temperature, time and room temperature. 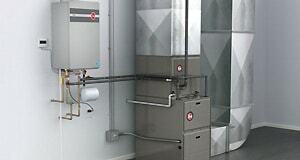 (Single Zone Heat Pump unit only). Sanyo Night Setback Mode for Cooling and Heating- Cooling and DRY Mode: With the Night Setback Mode, the air conditioner automatically raises the setting temperature 2 F after 30 minutes, and then another 2 F after the next 30 minutes. Heating Mode: With the Night Setback Mode, the setting temperature is automatically lowered 4 F after 30 minutes, and then another 4 F after the next 30 minutes. This saves energy without sacrificing comfort and is ideal for gentle cooling and heating. Sanyo Air Clean Apatite Filter- Apatite or calcium phosphate is highly effective in trapping germs, mites and mite excrement, pollen, dirt and dust, and cigarette odor. The triple layered air clean apatite filter consists of antibacterial, deodorizing, and dust-collecting sections that maintain healthy, clean air in your room.